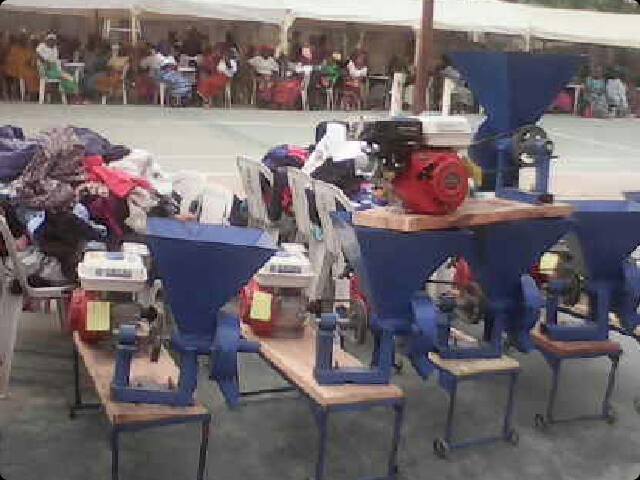 A Kaduna-based Non-Governmental Organization, Tally Widows Forum (TWF), had presented warm clothes, grinding machines and other gifts worth thousands of naira to widows, orphans and the less privileged in the state. The Forum did that to mark this year’s love feast celebration with less priviledged as part of its activities marking the 5th anniversary in Kaduna. This year’s celebration did not only had widows and orphans in attendance, but it also destitute from Kano and Ibrahim Taiwo roads, suburbs in Kaduna metropolis. Coordinator of TWF, Mrs. Nancy Talatu Harry said the Forum was established in October, 2011, and today marks the 5th anniversary. Mrs. Talatu Harry call on the Kaduna State government and well meaning Nigerians to partner with the Forum to make life more meaningful for these special people. In her words, “I have decided that this event should always be held. Today we do not have only widows and orphans in our midst but also the destitute from famous Kano and Ibrahim Taiwo roads. “The task is enormous, in fact too much for the government let alone an individual. “These people are our brothers and sisters, we are all created by one God, let us give them a sense of belonging and by so doing, make this world a better place for everyone. “Candidly speaking, they need shelter, food, healthcare, clothing and education for their children; hence, I implore you to lend a helping hand,” she added.